So.. you’re looking for some winter boots? Yes, I need something that is waterproof and warm, but also the kind of boot that I can grind into someone’s back after a good boot blacking session while they beg me to flog them harder. So a nice grippy tread would be great. 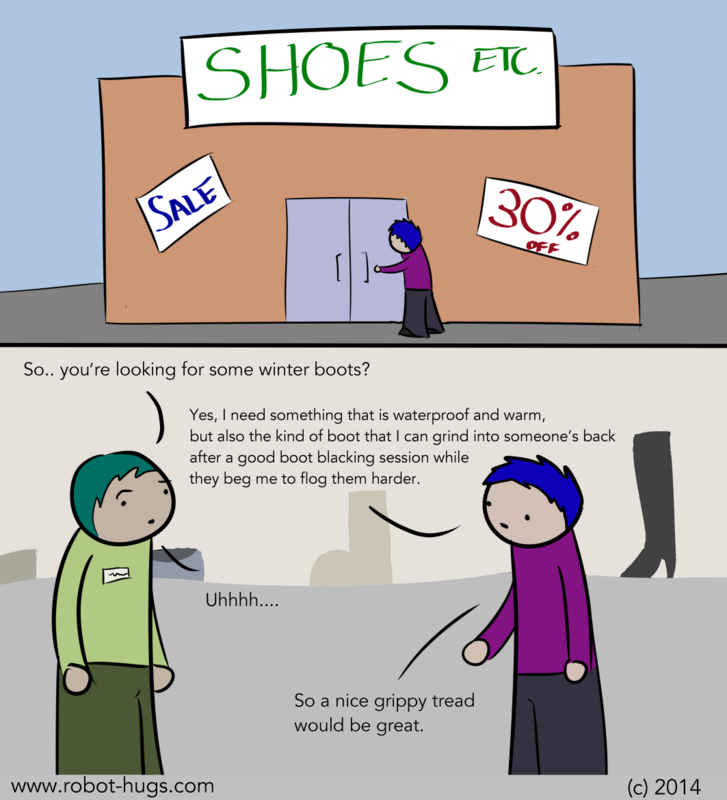 Is it too much to ask for some quality, warm, winter appropriate footwear that also leave great consensual bootprints on people? I did get some really lovely boots in the end, and I didn’t harass any salespeople, don’t worry.